Wouldn't be surprised to see something like that proposed either in the Direct Award or further down the line in the new franchise. Anyone know anything about this? "We have received a tip off that there is a safety critical issue with [GWRs] IET fleet. Because of this GWR will be running their HSTs until early 2020"
Posted by "Rail Leaks @RailLeaks Releasing information about Uk Mainline and Heritage Railways." Cold water poured on in there, but on the other hand there is rarely smoke without some sort of fire. Safety critical but not such that they are being suspended from service. Indeed, as is well known I do not think a lot of the new trains, and I suspect that reliability/availability may fall short of that expected. However a "safety critical flaw" seems a bit unlikely as they are still running in passenger service. Of course "safety critical" might be only in the eyes of the RMT ! Most strikes or threats thereof are over "safety" though a big enough pay rise can make the problem go away. Or of course there might be some design flaw that results in some technical non compliance with something that most of us would regard as trivial. Something like a grab rail in the disabled toilet being a few mm too high or too low for example. That would be "safety critical" according to some healthansafety experts, but of little real world importance. That particular Twitter account has been pulled/deleted/removed since yesterday evening. It was a fairly dormant account with just a handful of tweets - the last before the one referred to above being in January. Facilities on the 09:30 London Paddington to Bristol Temple Meads due 11:09. This is due to more trains than usual needing repairs at the same time. Will be formed of 5 coaches instead of 10. Here's one I learnt today. Delay to the 10.00 Penzance to London due to the fact that an IET can't pass a HST at Redruth due to clearance issues!! And broadly similar today, with about 15 short formations consisting of a 5 car instead of 10 car. Also several 8 car instead of 10 car, suggesting an HST instead of an IET. Some, if not all, are enforced by the DfT to release units for driver training. There’s over 40 drivers who have completed the theory but need practical handling but there’s no units available. In which case why can GWR not just be honest? Because saying it is because of repairs or just "we don't know" (which is the answer I got over the weekend) when they know the actual reason just is not on. Because revealing the truth would further expose their ineptitude. When the adverts were telling us how wonderful the new trains would be, perhaps it might have been more honest to state the following. "Whilst we aspire to run full length trains in the future, initially many services will be of only 5 cars. This is due to staff training, and due to the withdrawal of the old trains before enough new ones are available"
"In order to maximise the number of seats, the new trains have no buffet. Subject to availability of staff we hope to provide a trolley service in at least part of the train. Future aspirations include a wider range of goods from an improved design of trolley. We also hope in future to provide some form of hot snack service in standard class, though more work is required as to how best to achieve this"
And did my crystal ball not forecast regular short formations ? And did not a number of respected members rubbish such predictions as being unduly negative ? It was widely suggested that I should "wait and see" before offering such criticism. Well I HAVE waited and have now observed routine short formations. I do not recall speculating in any detail on the reason for short formations, staff shortage, lack of working trains, training or other reasons. I simply based my forecast on observations of other new trains, including class 159s, networkers, and voyagers. 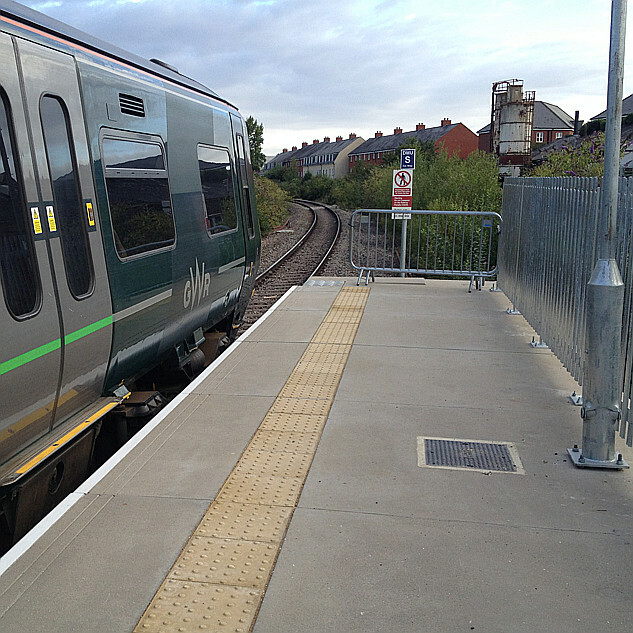 "If short units are available, then they will end up being used on busy services"